There are some seriously good restaurants in Cape Town. With something to cater for everyone, you’ve got a huge choice from locally caught seafood and street snacks to traditional South African dishes and international cuisine too. 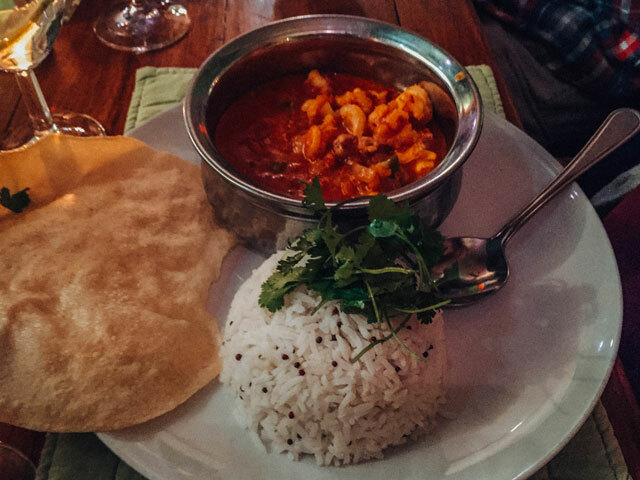 You’re bound to find some where to eat in Cape Town that you absolutely love. Here’s my selection of the best restaurants in the Mother City for all occasions and preferences. Warning: you might be very hungry by the end of this! 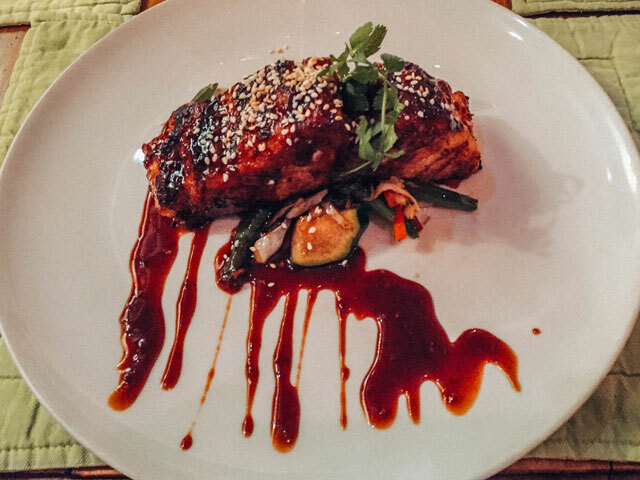 Imagine a South African seafood and Japanese fusion. Weird, huh? But at Cape Town Fish Market, it works. Everything is cooked fresh in front of you by the skilled chefs, and it’s all pretty special. The menu is full of unexpected delights, from super fresh sashimi to South African potjie, and from deep fried Oreos to seafood covered in peri peri a la Nando’s. Set just next to the Clock Tower on the V&A Waterfront, the restaurant makes a wonderful place to eat outside in the summer months. We visited in winter, and were mesmerised by the twinkly lights of the harbour as we sat in the cosy conservatory wrapped up in blankets. We ended up visiting twice because there was so much on the menu we wanted to try, and it was good enough to keep coming back. Perfectly positioned on the walk back from the penguin colony, this little hole-in-the-wall cafe serves up delicious ice cream by the sweet, creamy scoop or cone-ful. It’s honestly some of the best I’ve ever eaten. The flavours change daily and range from the traditional vanilla and chocolate to the pretty special peanut butter or downright crazy fig sorbet. 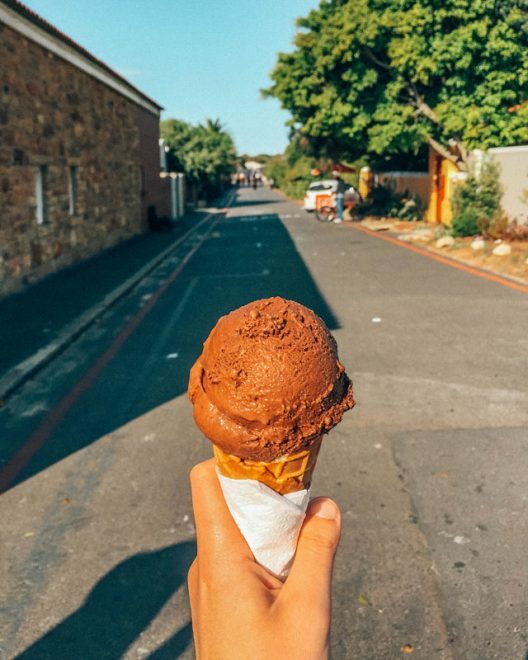 This fabulous little ice cream parlour in Cape Town also has a few tables on the inside and a cute garden from which to eat your ice cream, but I prefer to order a scoop ‘to go’ and wander along the seafront, cone in hand. £ – with prices like these, you’ll be able to afford more than one scoop! This place came by personal recommendation from our tour guide, and we would have probably walked straight past it had it not. The truth is, this restaurant is right in the middle of loads of samey-looking places that you could probably find in any country. They say never judge a book by its cover, so we tried it nonetheless. And we were so glad we did. Set upstairs in the V&A Shopping Centre, the restaurant is perfectly located for a break from shopping or a romantic evening meal if you’re staying in the area. Inside, the walls are painted with zebra stripes and cheetah spots. Outside, if the weather allows, you can take a seat overlooking the harbour and catch a glimpse of Table Mountain. But what about the food? 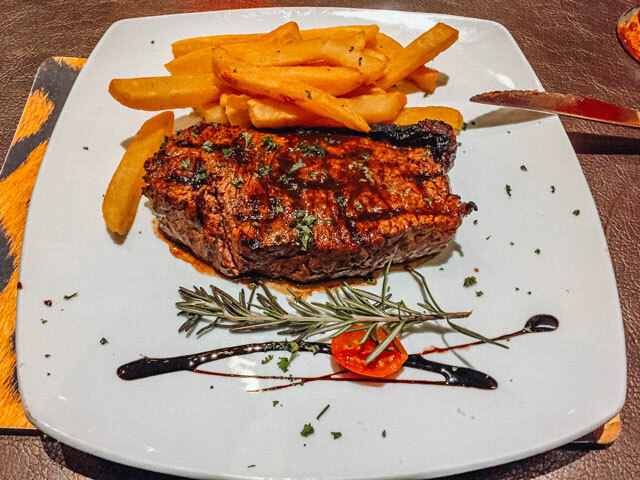 The extensive menu is labelled with handy symbols to draw your attention to their traditional South African choices, and the friendly waiters are always on hand to make recommendations. There’s a good choice of different meats if you’re that way inclined, but there’s also a few fish and vegetable dishes too. My favourite part of the meal was dessert. Try the Bar One Cheesecake, made with a South African chocolate bar a bit like a Mars bar. It’s oh-so-good, and served up in huge portions that are big enough to share. The double thick milkshakes are also worth a try and really do live up to their name. Whether you’re staying in the V&A Waterfront or just in the area after a tour of Robben Island, there’s no better place for lunch than the Food Market. 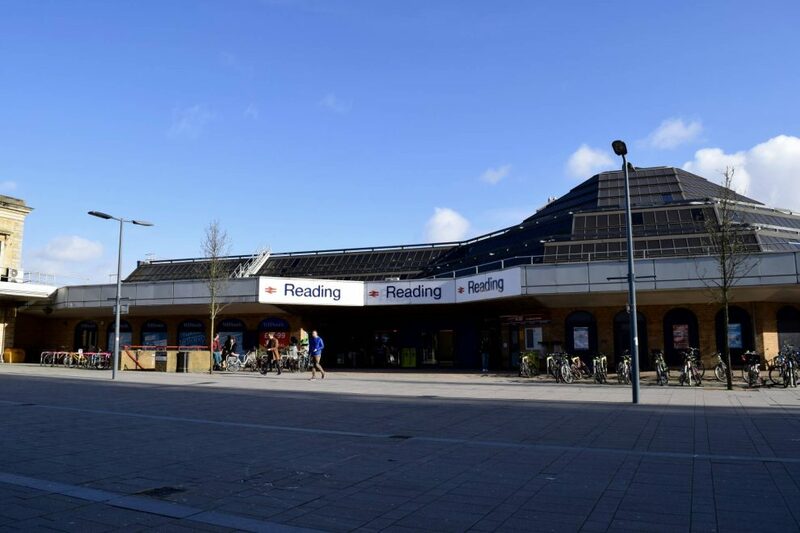 Take your pick of bakeries, street food vendor and snack stalls on the lower floor, or head upstairs to the main dining area for an even wider selection. Does a burger take your fancy? Or perhaps an authentic Indian curry? 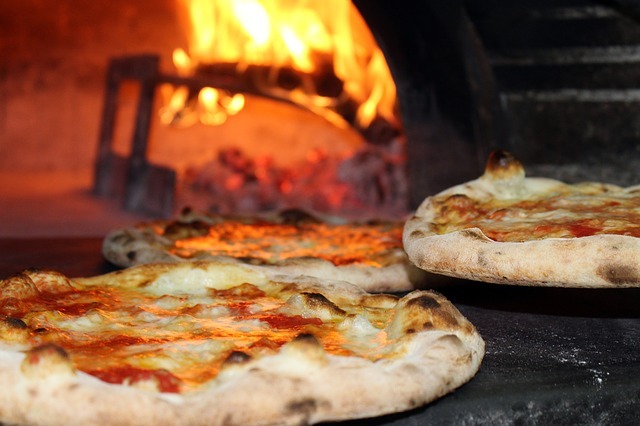 Would you rather eat a freshly wood fired pizza? You really can have it all at this market. There’s communal seating, two fully stocked bars, live music and a fantastic laid back atmosphere that will keep you coming back for something new day after day. 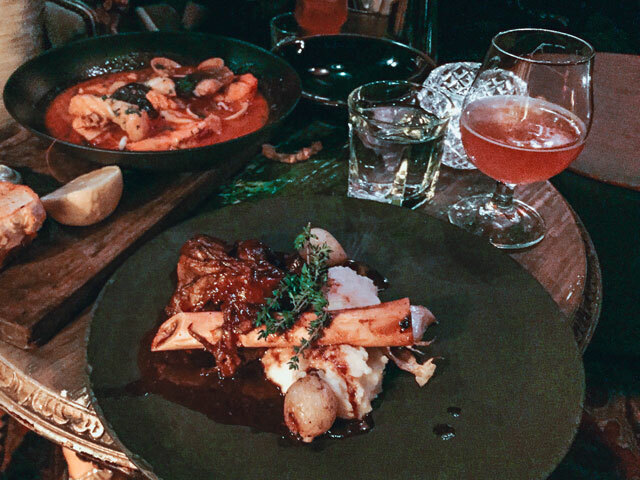 Kloof Street House is responsible for feeding us our best meal in South Africa. To be honest, it was one of my favourite meals ever. The restaurant itself is set in a large Victorian house, on Kloof Street. Go figure. But this gives it a wonderfully romantic and homely atmosphere. The outside is decorated with twinkly fairy lights and willowy plants draped around the welcoming patio. As you step inside, it really does feel like you’re walking into somebody’s home, with little rooms laid out with tables, bookshelves, armchairs and dimly-lit table lamps. Kloof Street House is old school glamour at its very best. Once you’re in, waiters bring you the extensive drinks list, and I can highly recommend the cocktails. You won’t find others like it in Cape Town – they are divine. As for the food? Everything is a winner. 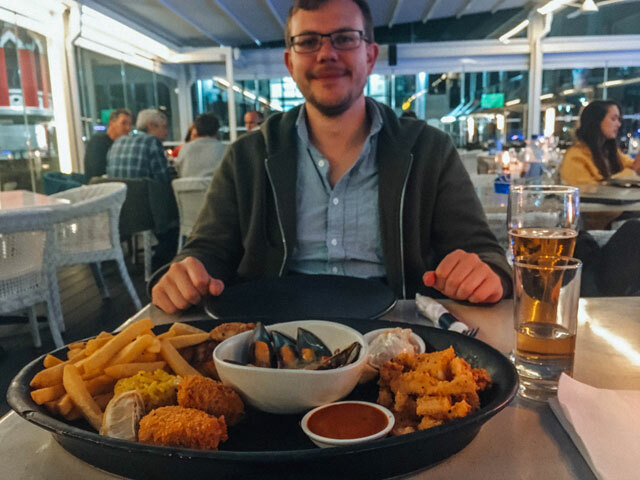 We tucked into a sharing portion of calamari, which melted in our mouths as we reminisced over our day of sightseeing in Cape Town. Onto the mains, and I chose a fish bouillabaisse – salmon, mussels, calamari and prawns in a rich tomato based sauce. Words can’t describe how I felt about this dish. If I could marry it, I probably would. Tim wouldn’t have minded, because he felt the same about his lamb shank. I have never been so upset to turn down a dessert. I’m convinced it would have been the best dessert I had ever eaten, but I was far too full from soaking up every last inch of my main to fit in anything else. Please book in advance – we didn’t, and ended up sitting on sofas around an awkwardly low table. It was fine, but the dining room looked much more comfortable. This little family-run restaurant is full of character, even down to its menu. They’ve put so much thought into the design. Open up the little envelope to find a love letter dedicated to good food, delicious drinks and impeccable service. The Miller’s Thumb specialises in seafood and locally caught fish, but there’s also a good selection for carnivores and a dish or two for vegetarians as well. 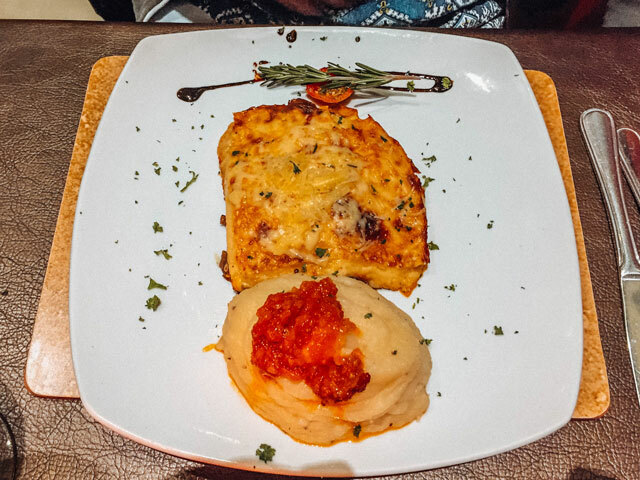 The food is wholesome and tasty, and served in huge portions like all good South African meals. The best thing about this restaurant is the almost pick and mix style of the menu. You can choose your fish, its marinade, how it’s cooked and what it comes with. Or you can ask for something completely different. I asked for an amendment to my curry and they were only too happy to oblige, which proves these meals are cooked fresh and delicious. £££ – reasonable prices for the amount and quality of food! Have you ever been to South Africa? What were your favourite places to eat in Cape Town? Share your advice in the comments! 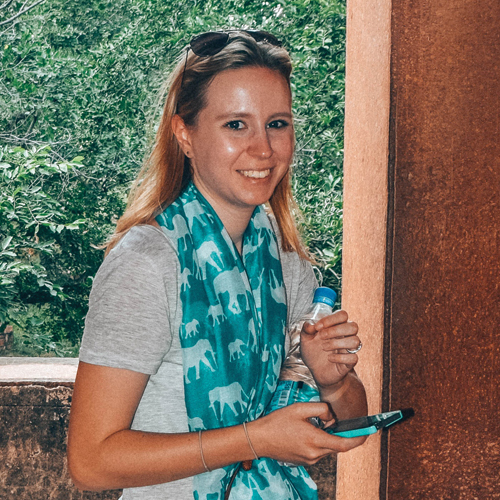 Working in the travel industry: what’s it really like? 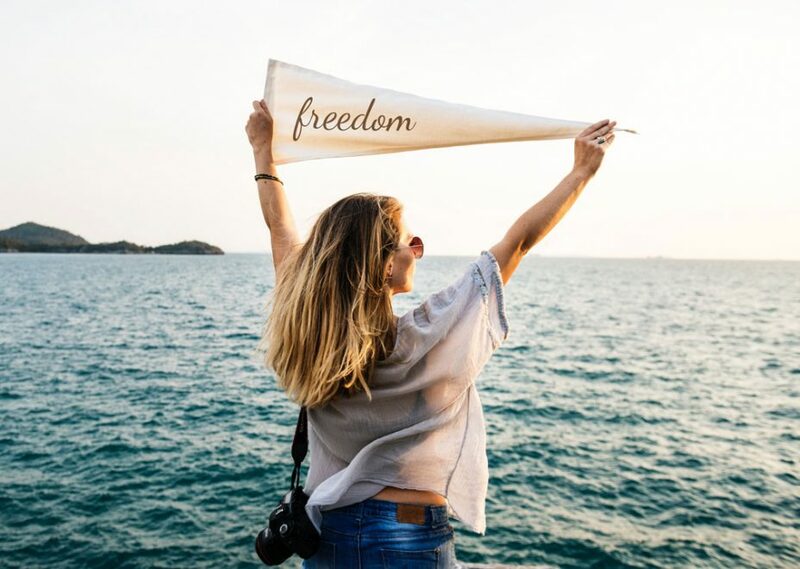 Next Post Working in the travel industry: what's it really like? This post made me so hungry!! 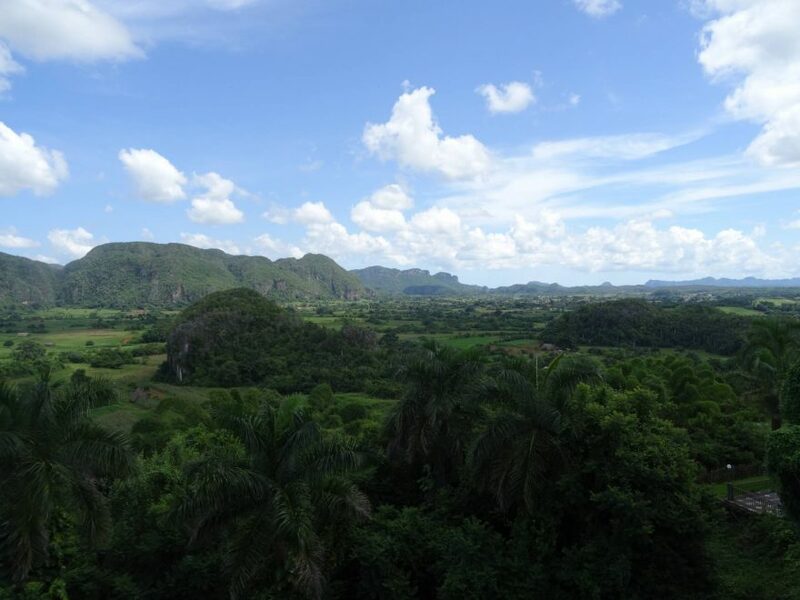 I love how much information you included about each place, and the photos are incredible. 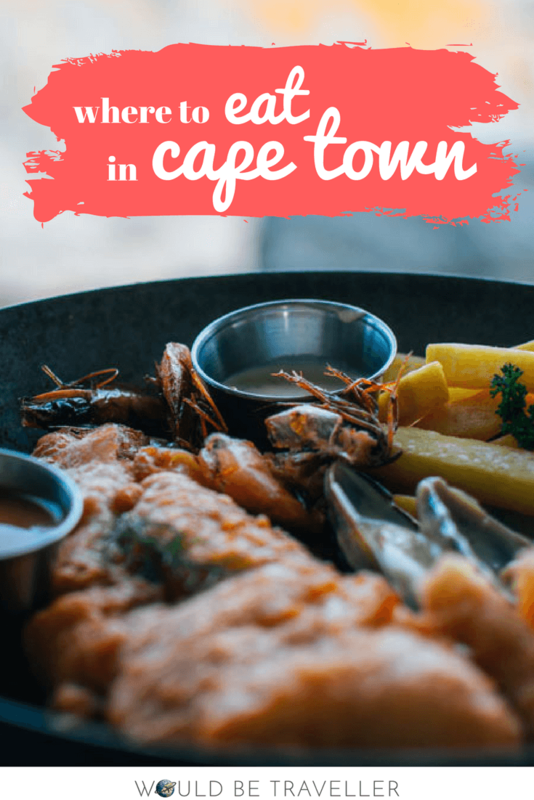 Cape Town is very high on my list and the fact that it’s a foodie destination makes me want to go even more! Great post! I loved my 3 months stay in Cape town and have eaten at some of the places you mentioned. One of my favorite is Miller’s Thumb! The fish was so good. I also really liked La Colombe and Mama Africa (so touristy though). Great post, I could happily eat all of those now. This post made me officially hungry 😀 I love the option os Gelato and coffee. I’m not a seafood fan, but South African and Japanese, that’s some combination!! I love grilled food, so thanks for those wonderful recommendations also! How is Cape Town for vegetarian food though? Wow! The food looks amazing! I had no idea the great choices available in Cape Town. Cape Town is definitely a dream town on my bucket list! These food photos makes me want to go ASAP! The ice cream and pizza immediately drew my attention haha. I’ve never been to Cape Town and if I ever do I know exactly where to eat. Thanks for the tips! I love finding the best places to eat. Definitely will keep this in mind if I visit Cape Town. Would love to try Miller’s Thumb.